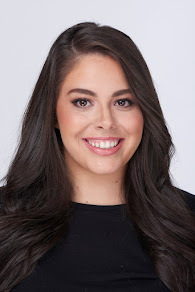 I am constantly trying new products and switching up my routines, but when it comes to skincare, once I find a few products I love, I alternate between them. Skincare is something I've taken more seriously in the past few months because without good skin, any makeup you put on top isn't going to look good. I have very dry and sensitive skin and I always try to find products that are super hydrating and fragrance free. My dry skin can turn into psoriasis or eczema but that's mostly in the winter so thankfully, that's over! Other than that, I don't have any other skin problems. Like I said before, I don't change my routine too much. Once I find something I like, I use it pretty much every day. I've also really been trying to get through all my skincare items that I currently have before buying more. A LOT of skincare products I have are deluxe sample sizes, which I think is perfect because who wants to spend $40 on a moisturizer you've never tried before? These products are holy grail status in my collection. I've talked frequently about how First Aid Beauty is one of my favorite skincare brands, so it shouldn't be a surprise that I use them every night. Another skincare brand I've been attracted to is Valentina. I talked about their True Glow Eye Serum a few weeks ago, and I just recently received another product for them--something I've been needing to add into my collection: a serum! Serum is one of those skincare products I never thought I needed and one of those items that I just didn't know where to start. 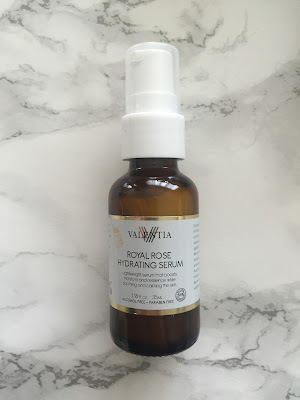 When Valentina reached out again to try their Royal Rose Hydrating Serum, I jumped at the chance because umm.. serum + hydrating + rose= my type of serum! So... for nighttime, I do a more intense skincare routine than the morning. Sometimes in the morning I don't even put moisturizer on because I'm so lazy and tired. I start off by cleansing my face with the First Aid Beauty Face Cleanser (1, 2, 3 are other cleansers I use), and then I will apply the Royal Rose Hydrating Serum. I love how light weight this-- it immediately melts into the skin and doesn't feel oily or greasy. If you don't want to apply too many products to your face, you really could get away with just using the serum because it's so moisturizing. The serum contains a bunch of hydrating ingredients like Rosehip Seed Oil, Rose Damascena, Evening Primrose Oil, and Lavender. After the serum, I go in with my First Aid Beauty Ultra Repair Hydra Firming Sleeping Cream (here is another moisturizer I use), and then finish it off with the Valentina True Glow Eye Serum (or this eye cream). I'm obsessed with all of these products and they just keep my skin really clean and hydrated. I definitely follow up with things like masks and eye treatments but this is just my simple, every night routine to keep my skin in check. What are your every night skincare products?